Dann Cahn was born on 9 April 1923 in Hollywood, California. Both his father and his uncle were film editors. He served in World War II, as part of the First Motion Picture Unit of the United States Army Air Force in Culver City at the Hal Roach Studios. His first editing work came while he was in the military, editing the training short "Airborne Liferaft." After the war Dann Cahn followed his father and uncle into film editing. He started editing in television with an episode of Your Show Time in 1949. It was in 1952 that he became the editorial supervisor for Desilu, working on the classic sitcom I Love Lucy. In the Fifties he would also work on such series as Our Miss Brooks, The Lineup, Cavalcade of America, The Life and Legend of Wyatt Earp, Make Room for Daddy, and U. S. Marshal. He also edited the film Forever Darling. In the Sixties he also edited such series as The Beverly Hillbillies, Many Happy Returns, Branded, My Mother the Car, and The Guns of Will Sonnett. He edited such films as Heaven with a Gun (1969), The Phynx (1970), and Beyond the Valley of the Dolls (1970). In the Seventies he edited such shows as The Delphi Bureau, Police Woman, Man From Atlantis, and 240 Robert. He directed such films as Zero to Sixty (1978) and The Octagon (1980). In the Eighties he worked on such shows as The Fall Guy, Remington Steele, My Sister Sam, and DEA. He worked on the films Tough Enough (1983) and The Elite (1989). Dann Cahn also served as a producer on such shows as Branded, The Mothers in Law, and Shaft. He also directed episodes of Rescue 8, Westinghouse Desilu Playhouse, M Squad, Leave It to Beaver, Coronado 9, and Man From Atlantis. I Love Lucy was not the first American filmed series. It was not even the first using a three camera system. That having been said, it was among the earliest American filmed series and among the earliest to use a three camera system. This made Dann Cahn a pioneer in the area of television editing. Not only did he work on I Love Lucy, but other early filmed series such as Our Miss Brooks and The Life and Legend of Wyatt Earp. Dann Cahn then paved the way for television editing to this day. Legendary British actress Dinah Sheridan died 25 November 2012 at the age of 92. Dinah Sheridan was born Dinah Nadyejda Mec Ginsburg at Hampstead Garden Suburb, London on 17 September 1920. Her parents operated a photography business under the name Studio Lisa and later had the Royal family as clients. Only Studio Lisa was allowed to photography the royal, Christmas pantomimes. Miss Sheridan studied at Sherrards School in Welwyn Garden City, Hertfordshire. She trained in acting at Italia Conti school. She made her acting debut at age 11 in Where the Rainbow Ends at the Holborn Empire in 1932. On stage she would go onto play Wendy in Peter Pan. She made her film debut in Give Me My Heart in 1935 and had her first credited role in 1937 in Landslide.. In the late Thirties Miss Sheridan appeared in such films as Behind Your Back (1937), Father Steps Out (1937), Merely Mr. Hawkins (1938), Irish and Proud of It (1938), and Full Speed Ahead (1940). The early Forties Miss Sheridan spent as an ambulance driver during World War II. She returned to film in 1942 with the movie Salute John Citizen (1942). In the Forties she appeared in such films as Get Cracking (1943), For You Alone (1945), 29 Acacia Avenue (1945), Murder in Reverse (1945), The Hills of Donegal (1947), Calling Paul Temple (1948), The Huggetts Abroad (1949), Dark Secret (1949), The Story of Shirley Yorke (1950), Paul Temple's Triumph (1950), No Trace (1950), and Blackout (1950). 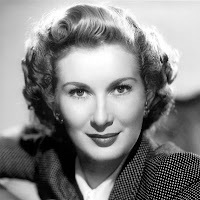 In the Fifties Dinah Sheridan appeared in such films as Where No Vultures Fly (1951), The Sound Barrier (1952), The Story of Gilbert and Sullivan (1953), and Genevieve (1953). Genevieve would mark one of the high points of her career, but she decided to retire from acting to spend time with her second husband, John Davis, and children immediately afterwards. Her marriage to John Davis ended in divorce in 1965, and she returned to the stage in the comedy Let’s All Go Down the Strand that year. She also appeared in such stage productions as A Boston Story in 1968 and Out of the Question in 1969. She made her television debut in an episode of Armchair Theatre in 1968. In 1970 she returned to film in one of her best known roles, appearing in The Railway Children. From the Seventies to the Nineties most of her career was spent in television. She was a regular in the Eighties series Don't Wait Up and the Nineties series Just Us. She also appeared on such shows as Play for Today, Seasons of the Year, Ooh La La, Zodiac, Crown Court, Hammer House of Horror, Doctor Who, Keeping Up Appearances, All Night Long, and Jonathan Creek. Her only film following The Railway Children was the Agatha Christie adaptation The Mirror Crack'd in 1980. There can be no doubt that Dinah Sheridan was beautiful and elegant. In fact, many considered her the quintessential English rose (although her father was Russian and her mother German). More importantly, she was also extremely talented. While many of her roles were that of wives of mothers, there was always a good deal of variety in the sorts of wives and mothers she played. In Genevieve she played Wendy McKim, the witty voice of reason in the film who was never afraid to speak her mind. In The Railway Children she played Mrs. Waterbury, the mother of the children of the title children. Miss Sheridan played Mrs. Waterbury as responsible, level headed, and concerned with her children's welfare. As Paul Temple's journalist wife Steve in two "Paul Temple" films, she was intelligent and somewhat independent. Even her television career was extremely varied, playing everything from Chancellor Flavia on Doctor Who to Angela Latimer on Don't Wait Up. She was not simply one of our last surviving links to the Golden Age of British Cinema, but one of its brightest stars as well. Wednesday, 28 November 2012, I completed my novel for National Novel Writing Month (NaNoWriMo, for short). For those of you who don't know what National Novel Writing Month is, it is an event wherein the individual tries to write a novel of at least 50,000 words. This is the third time I've participated and the third time I've completed a novel in less than 30 days. Anyhow here's one the cool graphics you get when you win! Anyhow, I enjoyed participating in NaNoWriMo this year. For once I was ahead all month. And I think this particular novel was a bit tighter than the previous two. That having been said, I am glad it is over. Now I can devote more time to writing that actually makes me money, not to mention my blog.